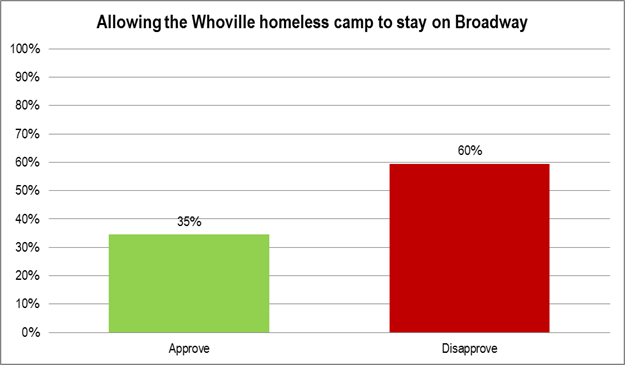 There is strong net disapproval of the City of Eugene allowing Whoville to stay on Broadway. QUESTION Do you approve or disapprove of the City of Eugene allowing the Whoville homeless camp to stay on Broadway? METHODOLOGY Random sample of 200 live telephone interviews of likely City of Eugene 2014 General Election voters conducted February 11 through 14, 2013. Margin of error at the sample median is 7 percent. Click here to have LindholmCompanyBlog content delivered to your RSS Inbox!